1) Amber used to be a boy. It’s true. When I first wrote the book, she was a he called Shilo. She became a girl about a year into editing – I tried it out one day to see if I liked the change, and that was it. I have to say, I do like her as a girl. Don’t get me wrong: she was lovely as a boy too but I firmly believe we need more feisty girls who can high-kick their way through life so Shilo became Amber. Sorry Shilo. 2) Amber is not me. Sure, there are parts of me in Amber: my dad left too, so I know how that feels but the circumstances were different. I’m half this and half that, and I grew up in South London. But her mum isn’t like my mum, her sister isn’t like my sister and I don’t have a Nonna like Nonna. I didn’t have an imaginary dad and I wish I were amazing at art but I’m not. I have four children, a baby tortoise and a dog and Amber has none of those things. And she’s ten years old. I’m a tiny bit older than that. So we’re nothing alike. Nothing at all. Well, maybe a bit. 3) Amber has been translated into French, German, Italian, Dutch and Turkish, although I haven’t seen the Turkish or Dutch editions yet. There’s also a US and Canada edition published across the pond by the lovely people at Sourcebooks, and that will be coming out in October 2015. And there’s an audio version too. Amber is INTERNATIONAL! How cool? 1) It’s based on a true story. Well, loosely. I mean, the part about the Cambodian girl who was adopted as a baby from an orphanage that smelled of cabbage: that’s true. The Cambodian girl I know lives in Italy now, not England, and she likes writing, not drama (and she’s good at it, too). I borrowed her story although I did ask her first, checked it was OK with her parents and thanked her and them for letting me share it. But I changed lots of the details and the names. The part about her wanting to be a mega-famous actress is made up. 2) I went to Cambodia last summer: I was there when Dara came out in the UK, in fact. I visited a centre that helps to keep children with their families and out of orphanages, and I talk about that and show photos when I visit schools and festivals, so if you invite me to give a talk at your school, you’ll be able to see them. It was a fascinating trip: I have lots to share about it. 3) I would actually hate being mega famous. I wouldn’t mind eating in posh restaurants every day though. 4) Dara Palmer is also going to be published in the US and Canada by Sourcebooks in July 2016, so YAY! Trust me, Dara will be SO happy that she’s going to America. More than happy. She won’t be able to sit still, she’ll be so excited. You can just bet your bottom dollar she’ll start learning American right away. I JUST READ THIS BOOK, AS MY LIBRARIAN RECOMMENDED IT TO ME. I LOVED IT! I CANT WAIT FOR THE SECOND BOOK. Yes, they’re aimed at 7-12 year olds. I should say that somewhere on my website: thanks for pointing that out! Hey Emma, I am reading Dara Palmer’s Major Drama, AND I LOVED IT!!!!!!!!!!!!!!!!!!!!!!!!!!!!!!!!! I CANNOT WAIT UNTIL ANOTHER BOOK COMES OUT!!!!!!!!!!!!! i also loved it im 12 yrs old and this book was great!! keep writting book Emma.We LOVE them!!!!! 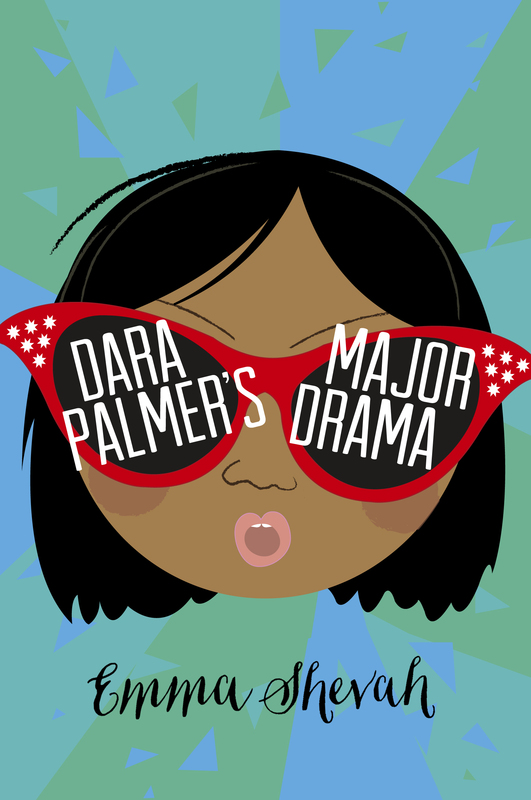 This librarian here at the Toronto Public Library in Canada is reading Dara Palmer’s Major Drama and discussing it in our monthly bookclub! Very excited and a very good read! Loved the cover – it drew me to the book! This makes me so happy! Thank you Vann-Ly. Hi Emma! I am currently reading Dara Palmer’s Major Drama, and it’s amazing! Dara’s backstory really interested me. I also love how funny and dramatic she is. Thank you for creating this wonderful book!